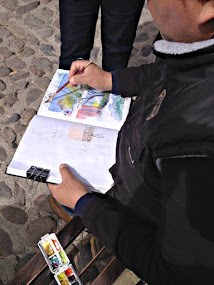 Learn the fundamentals and practice sketching, adding watercolor and color pencil in the Colonial city of Guanajuato, GTO, Mexico. Cristi Fer Art Workshops offers this unique workshop per request to groups 6-12. One day will be focused on sketching alone, second day we'll add the magic of watercolor to the new sketches of the day and the 3rd day we'll enhance your sketches with color pencil. 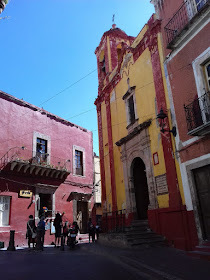 Each day costs $100.00 USD and includes historical tour, photo opportunity, and lunch. Attention group organizers! 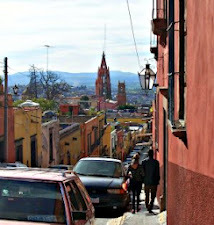 If Guanajuato is on your itinerary, contact us in advance and schedule few days of sketching! The participants will learn to see the world in a whole new expanded perspective. Contact us via contact form with your travel dates and the size of your group.